You'll be £10.39 closer to your next £10.00 credit when you purchase A History & Guide to the Cricket World Cup. What's this? For the first time in 20 years, the Cricket World Cup returns to England and Wales and with the England team close to the top of the one day rankings, expectation and enthusiasm for this event is bound to be high. Each of the eleven tournaments have been written up to include records of matches and individual performances, as well as a brief setting of the scene. Clear and concise, these chapters include the relevant statistics, such as the highest and lowest totals, match aggregates, highest partnerships, top individual batting and bowling performances and biggest and smallest victory margins. Quirky findings such as the lowest team total to include a century partnership, birthday performances, most batsmen bowled out in an innings, as well as many more, are revealed in the miscellany section and are sure to delight cricket lovers. 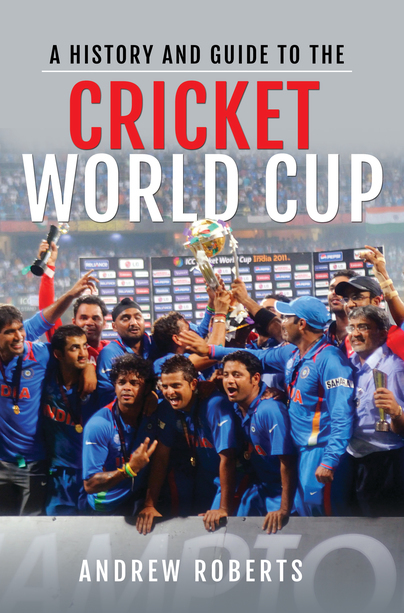 A History & Guide to the Cricket World Cup is informative, factual and engaging, making it the perfect companion for attendees of the 2019 tournament.